Description: Absolutely stunning, high end elegant yet bold and romantic. 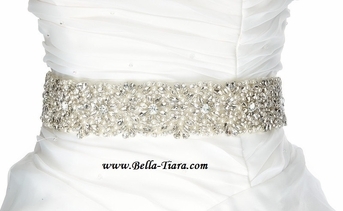 clusters of Swarovski crystals pearls and beads on a long tie ribbon. available with more design if needed.